Pip Eastop is regarded as one of Britain’s finest horn players. His ‬career encompasses the widest possible range of genres and styles of‬ music. At the age of eighteen, after four years of study at the Royal Academy of Music, he joined the Flanders‬ Philharmonic Orchestra and became the youngest ever principal solo horn in a European symphony orchestra. At nineteen he was invited back to London to become principal horn in the London Sinfonietta, with whom he performed all over the world and gave many solo performances including Britten’s Serenade at the Queen Elizabeth Hall conducted by Sir Simon Rattle. Pip is currently principal horn in the London Chamber Orchestra and appears as guest principal with The Hanover Band, Orchestra of the Age of Enlightenment and all of the major London symphony orchestras. He is also much in demand as a chamber musician. He is very active in the contemporary music scene, both as performer and composer, specializing in ‘extended’ horn techniques, computer sound-transformations and looping sound systems. As a session musician he has been involved in the recording of large numbers of pop and rock tracks and hundreds of famous film scores. In 2007 Pip returned to the Flanders Philharmonic‬ Orchestra to play ten consecutive performances of Schumann’s Konzertstück in major German concert halls, then later performed the same work at the Aldeburgh Festival with the Philharmonia Orchestra conducted by Oliver Knussen. 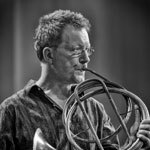 Pip writes and lectures on teaching and learning horn and on the physiology of breathing technique for wind players. 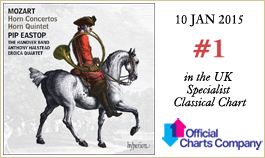 He currently holds a professorial position at the Royal College of Music and is a Fellow of the Royal Academy of Music.